As part of Gulu Women’s Resource Centre’s goal of providing women with current and critical information, community meeting space, computer and life skill trainings, WGEF offered a 3 months’ basic computer training for 27 young girls and women to help them learn and improve their knowledge and skills in basic computer applications. The training drew participants from primary schools, secondary schools drop outs. It is through information and education that self esteem and empowerment is facilitated, enabling women to stand up and lead themselves out of the vicious cycle of poverty that is often presented before them. “The fighting in our home country separated me from my family, I don’t know if they are still alive, I was left alone with no one to tell my challenges, no one to take care of my needs such as sanitary pads I have to use a piece of cloth, but also cleaning it is a challenge because we don’t have enough water and soap in this camp” – Christine, 14 years old. Sadly 70% of mothers in Bolore and Pagirinya refugee settlements think periods are dirty and 66% of girls and women manage periods without toilets. 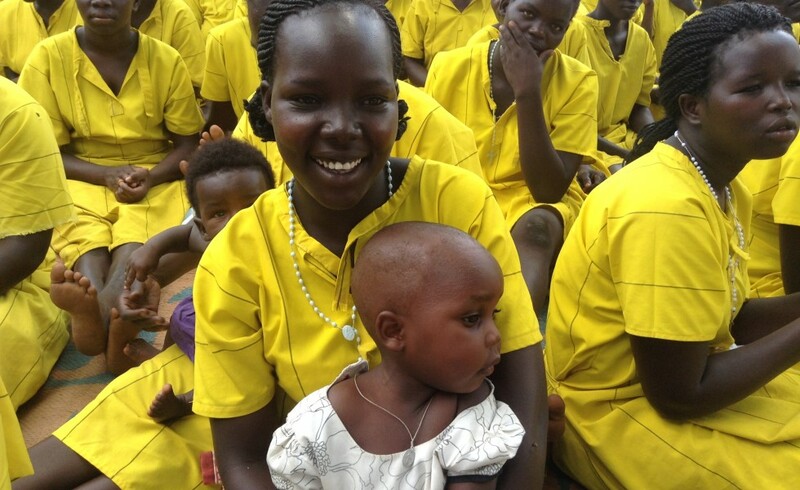 Having your period in a refugee settlement is uncomfortable, unsanitary and unjust PERIOD! Influenced by differences in sociocultural norms, without education for young girls on how to manage their periods, whether and from whom they can seek reliable information and help. 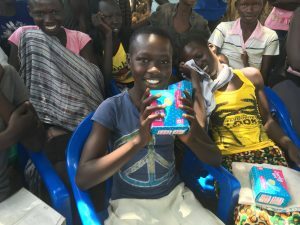 This month WGEF has provided 300 young girls and women with Lucky Girl Sanitary Pads, and critical information on menstrual health; our goal is to deliver 7000 pads every month to women and girls living in the camps. 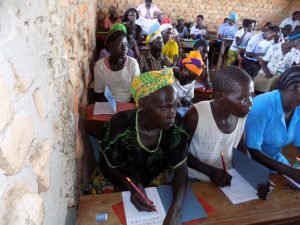 WGEF disbursed 350 new micro loans to to support women in Omoro District who are looking up to better their lives, start and expand their business. All women were provided intensive business skills and provided with micro loans to help them start and expand their business. Each woman represented a household we need to see improvement in house hold income, children able to go to school and families Table access quality health care services. WGEF Credit Plus participants receive a microcredit loan bundled with social and educational services, allowing them to create an opportunity for sustainability, increased food security and health and nutrition. Each loan recipient is required to attend bi-monthly meetings. These meetings will entail loan repayment and training on business skills, literacy, health or leadership development. Women invests their micro loans in varied business such as produce selling, baking, tailoring and knitting, grocery store, poultry and agro loans. 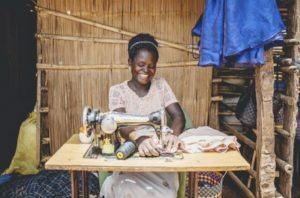 All these loans help women and their house holds become more resilient and better able to provide for their families in times of economic difficulty.